1. Open Account: An open account transaction is a sale where the goods are shipped and delivered before payment is due, which is usually in 10 to 90 days. Obviously, this option is the most advantageous option to the importer in terms of cash flow and cost, but it is consequently the highest risk option for an exporter. Because of intense competition in export markets, foreign buyers often press exporters for open account terms since the extension of credit by the seller to the buyer is more common abroad. 2. Documentary Collections : A documentary collection (D/C) is a transaction whereby the exporter entrusts the collection of a payment to the remitting bank (exporter’s bank), which sends documents to a collecting bank (importer’s bank), along with instructions for payment. Funds are received from the importer and remitted to the exporter through the banks involved in the collection in exchange for those documents. Document can either be delivered to the importer against payment at the sight (D/P) or against the acceptance of a Bill of Exchange (D/A) tenured for 30 to 180days or more. 4. Cash-in-Advance: With cash-in-advance payment terms, the exporter can avoid credit risk because payment is received before the ownership of the goods is transferred. 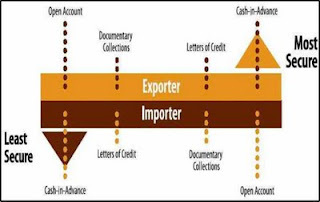 Wire transfers and credit cards are the most commonly used cash-in-advance options available to exporters. cloves, which are the vegetative propagating materials of the crop. Garlic has been used throughout recorded history for both culinary and medicinal purposes. It has a characteristic pungent, spicy flavor that mellows and sweetens considerably with cooking. Harvest: Garlic is usually harvested in the summer months. The harvesting begins in July and picking can continue all the way through August. Locations: Garlic has been in cultivation for many decades in Northern States of Nigeria such as Kano, Sokoto, Borno, Bauchi, Kafanchan (Kaduna) Jigawa, Kastina and Zamfara. 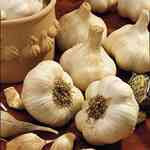 Uses: Garlic is widely used around the world for its pungent flavor as a seasoning or condiment. The medicinal uses of garlic include vermifuge, antiseptic, diaphoretic, diuretic, stimulant and expectorant. It is also said to have great value when applied as a topical ointment to skin conditions such as acne or other types of pimples. Export market: The United States is the world’s largest import market for fresh garlic, followed closely by Indonesia, France, Germany, Australia and Brazil. Local price: The local price of garlic ranges from about N170,000 to about N210,000/MT, depending on the location of purchase and the period during its season. Description: Gum Arabic (Acacia Senegal) Gum Acacia, also known as Gum Arabic, is a natural gum harvested from the exterior of Acacia trees in the form of dry, hard nodules up to 50 mm in diameter, and ranging from almost colourless to brown. Its unique properties endow it with a wide range of uses in food, beverage, pharmaceutical and industrial applications. There are over 1,100 Acacia species worldwide. However Acacia Senegal and Acacia Seyal are the most commercially exploited species. The major Acacia utilized for commercial Gum Arabic production in Nigeria are Acacia Senegal and Acacia seyal. Nigeria is the 2nd largest producer of the crop in the world after Sudan with average production of 20,000 metric tonnes of all grades of Gum Arabic. In the year 2004, world production of Gum Arabic was put at 70,000 metric tonnes while Nigeria's production amounted to 18,935 metric tonnes with export earnings of US$88.08 million. Locations: Gum Arabic is produced in about 14 States of the Federation namely Borno, Yobe, Jigawa, Bauchi, Gombe, Taraba, Plateau, Adamawa, Sokoto, Kebbi, Katsina, Zamfara, Nasarawa and Niger with an estimated population of 4 million Nigerians engaged in its cultivation and trade. Uses: Gum Arabic is used as thickener, suspender, emulsifier, stabilizer, flavour carrier, binder and encapsulating material. In addition, it is used in confectionaries, food, beverages, pharmaceuticals and chemical industries. Export market: The major markets for the product are: Belgium, China, USA, U.K and Japan. Local price: The local price of gum Arabic grade I ranges from about N170,000 to 180,000/MT in Kano. Delivery to Lagos will increase the unit price per MT by 10,000 to 20,000. Description: Ginger (Zingiber Officinale) is a commodity that is highly valued in international markets for its aroma, pungency and high oil and Aleo resin content. Nigeria is the third largest exporter of ginger in the world after China and India. Most of the dried ginger that are available for international trade are simply sun dried over a few days, but artificial drying is also used in areas lacking a defined dry season to coincide with the harvest. The rhizome is dried to between 10 and 12 per cent moisture content. Dried ginger is usually presented in a split or sliced form. Splitting is said to be preferred to slicing, as slicing loses more flavour, but the sliced are easier to grind and this is the predominant form of dried ginger currently in the market. Harvest: harvesting of ginger starts from October and normally continues until April/May. This largely depends on the market situation as ginger can be left on the ground (not harvested) for two years. Locations: Ginger is produced in six states of the Federation namely, Kaduna, Nasarawa, Benue, Niger and Gombe with Kaduna as the major producer. Nigeria's production in 2005 was estimated at 110,000 metric tonnes (FAO). Out of this, 10% is locally consumed as fresh ginger while 90% is dried primarily for the export markets. Uses: The list of ginger uses is almost endless, being a pungent spicy herb and one of the more popular food spices. They range from baked products like gingerbread, ginger biscuits, ginger cookies to drinks like ginger tea, ginger beer, ginger ale, etc. Ginger contains about two per cent essential oil. The oil is extracted and distilled from rhizomes for various uses in confectionery, perfumery, beverages and pharmaceuticals. Dried ginger is used predominantly for flavouring coffee especially in the Middle East. It contains medicinal qualities and it is also used to calm nausea and aids digestion. Dried ginger is used in many different cooking methods. It is an important spice in Asia, the Caribbean and African cooking. Export market: The export markets for ginger include the United Kingdom, Germany, Spain, Netherlands, France, United States of America, Russia, Saudi Arabia among others. Export Price: The export free on board price of ginger ranges from USD 2500 -2600/MT depending on the type and form in which the ginger is packaged and also the negotiation made with the buyers. Local price: The local price of of dry split ginger deliver to Lagos from kafanchan in Kaduna state varies from N270,000 and N300,000. Description: Sesame seeds (or sesamum or benniseed) are the seeds of the tropical annual Sesamum indicum. The species has a long history of cultivation, mostly for its yield of oil. The original area of domestication of sesame is obscure but it seems likely to have first been brought into cultivation in Asia or India. The plant is usually 60 to 120cm tall and the fruit is a dehiscent capsule held close to the stem. When ripe, the capsule shatters to release a number of small seeds. The seeds are protected by a fibrous ‘hull’ or skin, which may be whitish to brown or black depending on the variety. 1000 seeds weigh some 4-8g. The seeds have a high oil content of 44-60%. Harvest: Harvesting begins in late December and continues through July. Each producing area stated in the next section below (Locations) has only one season. Locations: The major producing areas in order of priority are Nasarawa, Jigawa and Benue States. Other important areas of production are found in Yobe, Kano, Katsina, Kogi, Gombe and Plateau States. The major marketing centers (towns and states) of sesame seeds in Nigeria are in the table below. 1. White/raw = Food-grade used in bakery industry. 98-100% whitest grade seeds. 2. Brown/mixed = primarily oil-grade. The White (Food Grade) seed is grown around the towns of Keffi, Lafia/Makurdi, Doma, and in Nassarawa, Taraba, and Benue States. It is easier to sort and the Fumani/Denin people consume sesame locally. The Brown/mixed grows in the North, in Kano State and in Jigawa State near Hadejia, and somewhat in the southern part of Katsina State. Uses: Most sesame is processed directly into oil by the grower or within the producing region, but can also be sold in various stages of processing, for various uses, such as meal, paste, confections, and bakery products. Fried seeds may be bound together with sugar syrup to give sweetmeats. The whole seeds can be baked into biscuits. Popular in northern Europe either incorporated into breads or as decorative toppings. May be used hulled or whole. Particularly used in oriental cuisine. The flavor is quite strong and rarely compatible with traditional Western style cooking but also used as a salad oil. Export market: The major importer of sesame seeds in the world is Japan while the major consuming markets in the EU are Greece, Germany, the Netherlands and the UK. In the past, the bulk of sesame was imported from China. Increasingly, other sources such as India, Sudan and, most recently, Pakistan, are taking the market share. The USA is the fifth largest import market with a steady demand for over 50,000 tonnes per year. Export Price: The export free on board price of sesame seed varies from USD 1200 -1600/MT depending on the type and form of the sesame seed and the negotiation made with the buyers. Local price: local price per metric tonne MT of sesame seed varies from NGN140,000.00 to about NGN160,000.00 in Kano. However local price when delivered EXW Lagos (delivered in Lagos) could range from NGN 165,000 – 175,000.00. Description: Cashew (Anacardium Occidentale L.) is a tree crop of considerable economic importance to Nigeria and other tropical countries. Apart from being a source of useful products and byproducts for food, medicinal and industrial applications, cashew gives also a useful shade, while ornamental and alley trees are suitable for the control of soil erosion, particularly for the protection of watersheds and dams. Harvest: Cashew nut setting begins in the middle of dry season, while harvesting takes place mainly in February or March. The entire harvest period occupies about 16 weeks. In the Eastern and Western parts of the country, where quality cashew nuts are grown, nuts are allowed to drop to the ground before they are collected. This practice ensures that only ripe nuts are collected. Nuts normally fall to the ground with their apples attached; the two are normally separated with a twisting action during collection. The remnants of the apple flash adhering to the nuts are removed with a sharp knife. After picking, the nuts are dried in the sun for 2 to 3 days, to reduce their moisture content to about 12 %. Properly dried nuts are packed in jute bags and can be kept for 6 to 10 months, if stored in suitable condition. 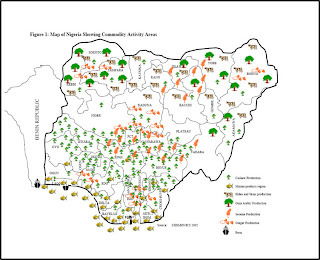 Locations: Major cashew growing areas in Nigeria are, by order of importance: Enugu, Abia, Imo, Anambra, Ebonyi and Cross River States in the eastern part of the country; Oyo, Osun, Ondo, Ekiti and Ogun States in the Western part, as well as Kwara, Kogi, Nassarawa, Benue, Taraba, Niger and FCT in the Middle Belt and also Sokoto and Kebbi States in the North West part of the country. The majority of export quality nuts come from the Western and Eastern parts of the country. Uses: The cashew nut is a popular snack, and its rich flavor means that it is often eaten on its own, lightly salted or sugared. In addition to this, cashew nutshell liquid (CNSL), a by-product of processing cashew, is mostly composed of anacardic acids. These acids have been used effectively against tooth abscesses due to their lethality to bacteria. 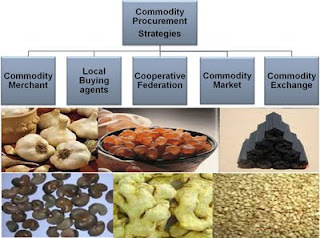 Export market: The major buyers of cashew nut from Nigeria are mainly India and Singapore. Smaller percentage goes to Europe. Export price: The export free on board (fob) price of raw cashew nut varies from about USD 500-600/MT. However, when an exporter adds value to this product by processing it into kernels, the fob price could quadruple that of raw cashew nut. Local price: The local price per metric tonne MT for raw cashew nuts delivered EXW Lagos (delivered in Lagos) varies from NGN40,000.00 during the peak season to about NGN80,000.00 at the off season.